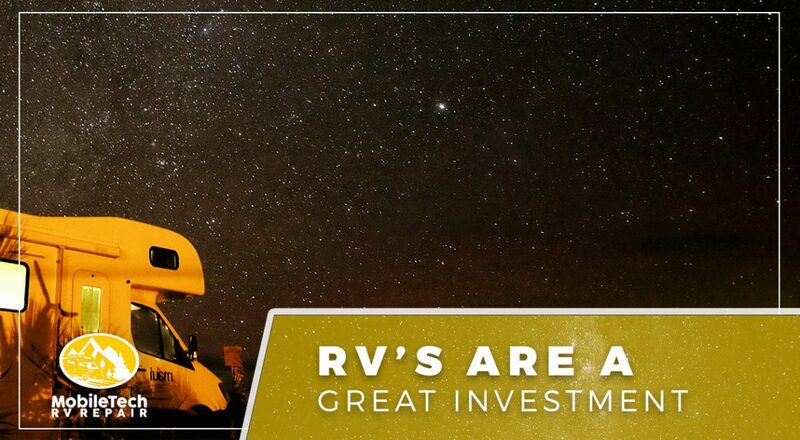 RV Maintenance Montgomery County: RVs Are a Great Investment! Is it really cheaper to use an RV for a cross-country sightseeing trip than a regular vehicle? The answer is a resounding “yes!” Learn more in today’s post, and contact MobileTech RV Repair for RV service and RV repairs in Montgomery County! Let’s start with some basic assumptions about the costs of traveling. The average cost of a hotel in the United States is $121 per night, and dining out usually costs about $60 per person per day. So, you can expect to spend roughly $180 per day on food and lodging if you’re traveling on your own. On the other hand, the average RV campground will cost you $25 per night, and purchasing groceries at stops along your destination is estimated to cost half as much as dining out. This puts the daily cost of food and lodging in an RV at about $55 per day for a single traveler. While it’s obvious that staying in an RV will save you money on food and lodging, we can’t ignore the costs of purchasing, fueling, and repairing an RV. A recent Time article puts the daily operating cost of an RV at $.96 per mile traveled, and this figure includes an $80,000 purchase price. They also estimate the cost of using a regular vehicle for travel is about $.33 per mile. Suppose that you were planning a trip from Houston, Texas to Augusta, Maine – how much could you save by traveling in an RV? This trip is almost 2,000 miles exactly, and it would take you about 31 hours to drive from Texas to Maine if you didn’t stop once. 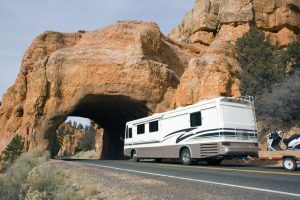 However, the point of owning an RV is to see the amazing sights between two destinations, so let’s suppose that you broke your trip from Texas to Maine into a three-week sightseeing tour. If the daily operating cost of a regular vehicle is $.33 per mile, then you can plan to spend about $660 on gas and maintaining your car. The true expense, however, comes from purchasing food and lodging. At a rate of $181 per day, your 21-day sightseeing tour will cost $3,867 in total. At a cost of $1,920, the daily operating cost of an RV is much more expensive, but the savings come from being able to sleep in your RV and cook your own food every day. The total for food and lodging is expected to be about $1,155, making the total cost of the trip from Houston to Maine $3,075 in an RV. This is a savings of nearly $800, and remember, hotels on the East Coast aren’t known for their affordability! We hope that this post will inspire you to either purchase a new RV or prepare your current one for a summer road trip. MobileTech RV Repair is your go-to resource for RV repairs and RV service in Montgomery County, and we would love to help you prepare for your next big trip. Get in touch with us at 936-228-8980 or fill out the contact form below to get started!